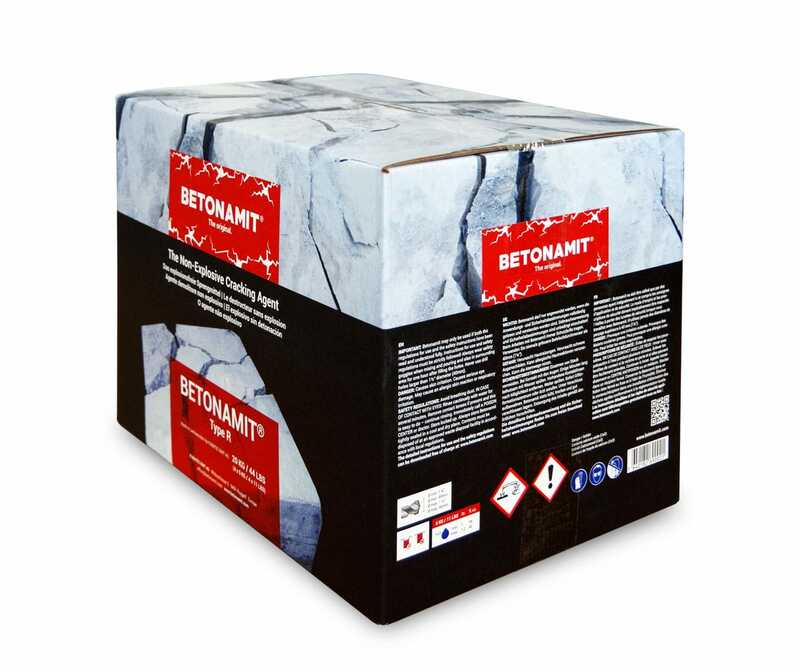 BETONAMIT® is an explosion-free demolition agent which enables a safe and tremor-free breaking up of rock, stone and concrete without the need for special preconditions or infrastructure. BETONAMIT® has a very good shelf life of at least 3 years and can be sent by parcel without problem. After a reaction time of just a few hours, BETONAMIT® develops a huge expansion pressure which soon becomes so high that it splits apart every hard rock and also ferroconcrete. Compared to conventional blasting methods, BETONAMIT® works practically noiselessly, tremor-free and without producing flying fragments. Marble removal, granite mining, mines, etc.